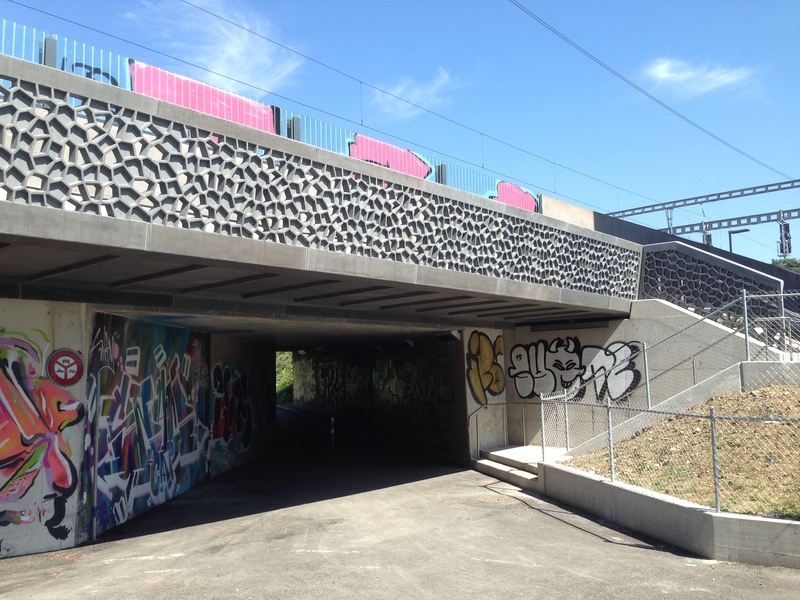 The Martinet Footbridge plays an important role in the soft mobility infrastructure in Lausanne, Switzerland. 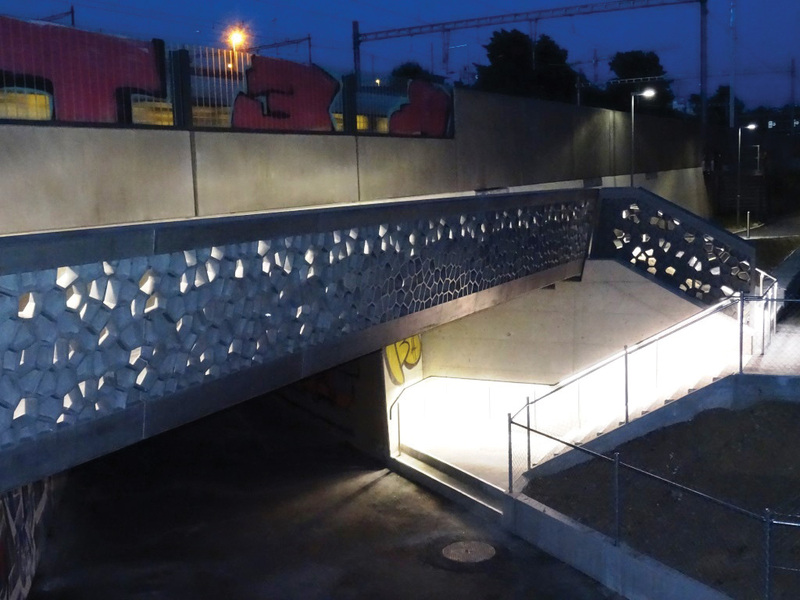 Engineered by Emch+Berger SA Lausanne, it is the first footbridge in Switzerland that is made of ultra-high-performance fibre reinforced cement-based composite material (UHPFRC). 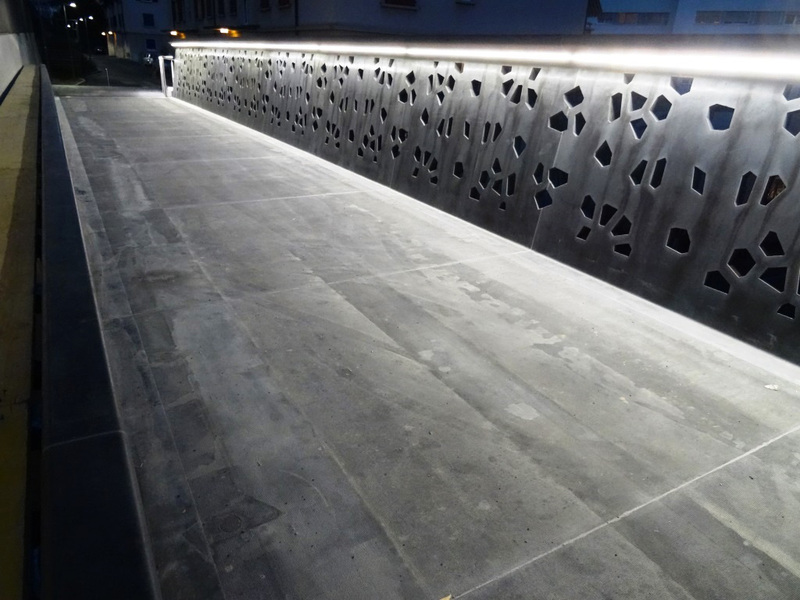 The UHPFRC material was chosen to discretely and effectively integrate the 15.3 m long bridge into the existing urban buildings and to create an original and eye-pleasing experience. 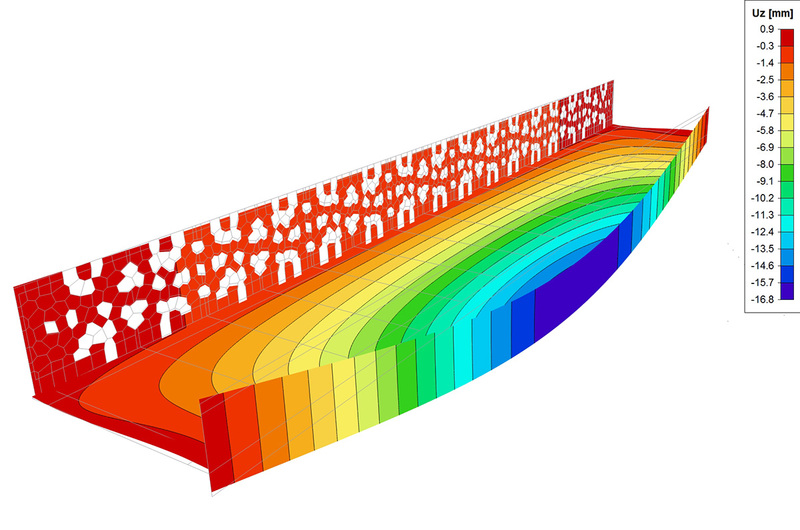 It also showcases the design and construction of a slender UHPFRC structure. The asymmetric U-shaped cross-section consists of 2 main girders, an “organic” one and one with a full web. Both girders form a half-frame with the bottom plate stiffened with ribs in the transverse direction. 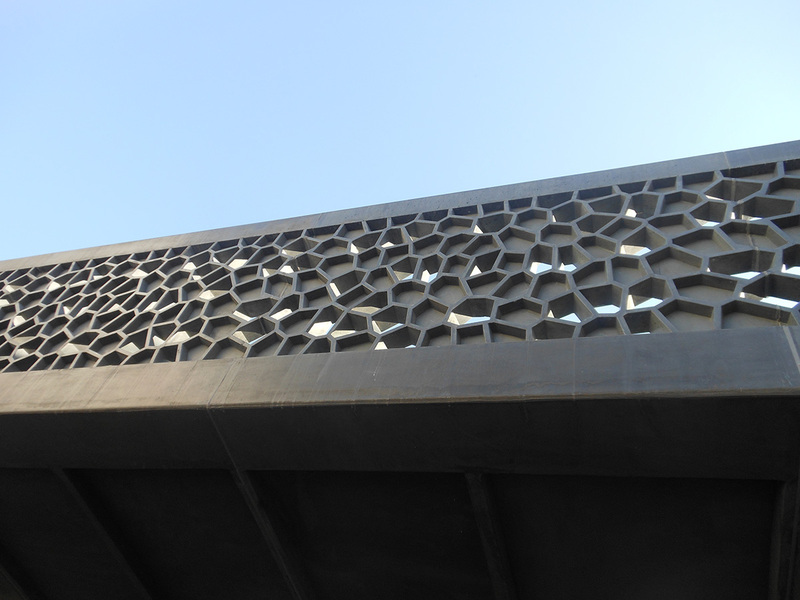 In the longitudinal direction, the structure consists of 9 precast segments connected by straight post-tensioned cables. The bridge rests on two reinforced-concrete abutment walls. Two models were created in SCIA Engineer: a strut and tie model and a model with beam elements and plates for the organic girder. 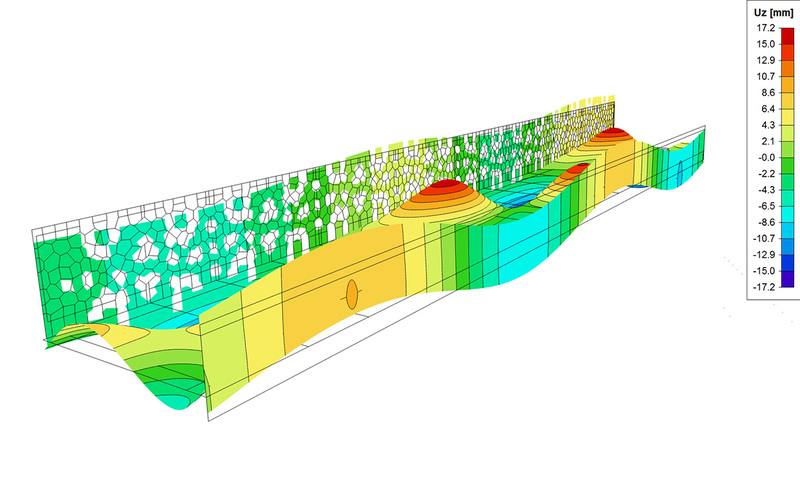 Numerous SCIA Engineer functionalities were successfully applied: import DXF, 2D and 3D frames, graphical sections and dynamic analysis. The analysis helped achieve the main project goals. 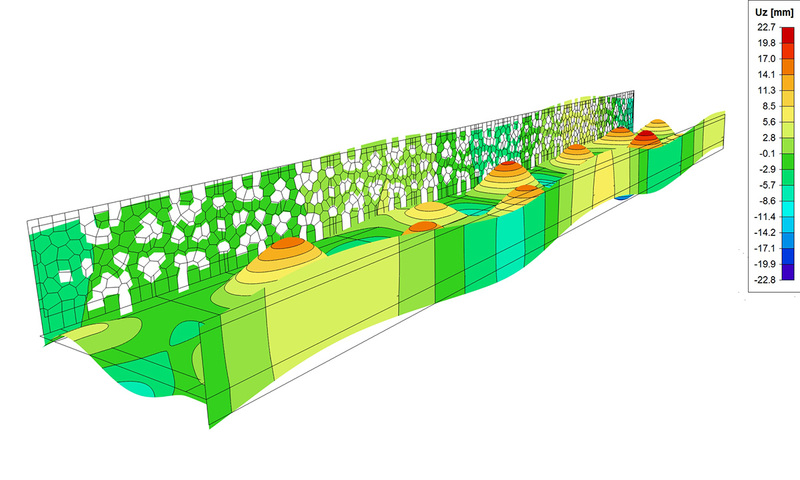 Moreover, the results obtained from SCIA Engineer model corresponded with the frequencies measured on site. The Martinet footbridge project was a nominee in the “Civil Structures” category of the SCIA User Contest 2017 “The Art of Structural Design”.